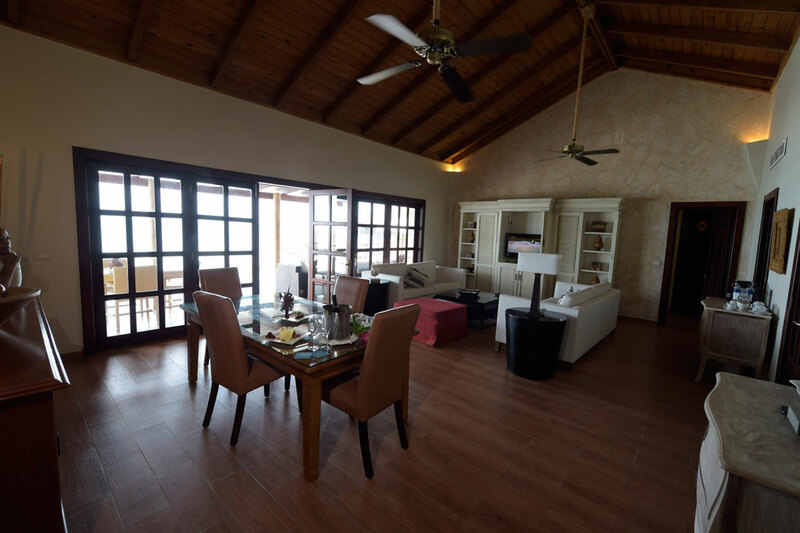 Guests may choose from numerous á la carte and buffet restaurants featuring indoor or al fresco seating, as well as 24-hour room service. 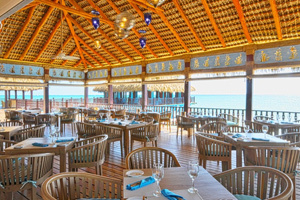 Perched on stilts overlooking the ocean, this is the most spectacular restaurant setting in the Dominican Republic. 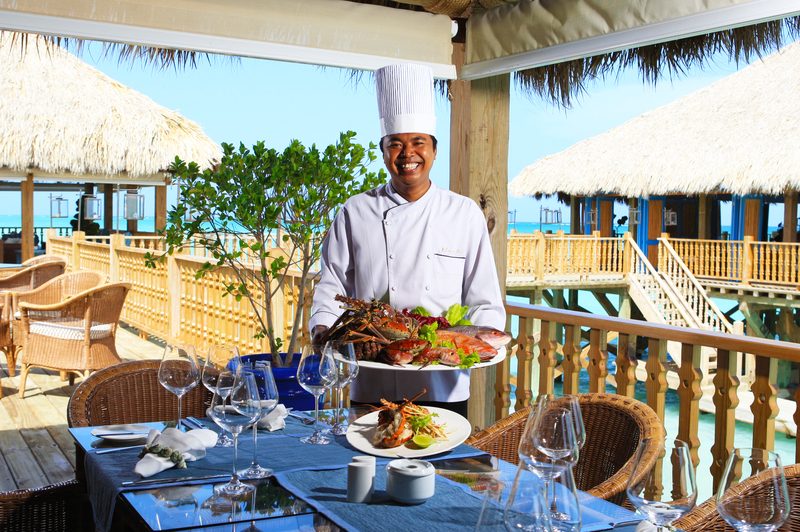 Serving fresh seafood daily, it is a must-dine when in Cap Cana. 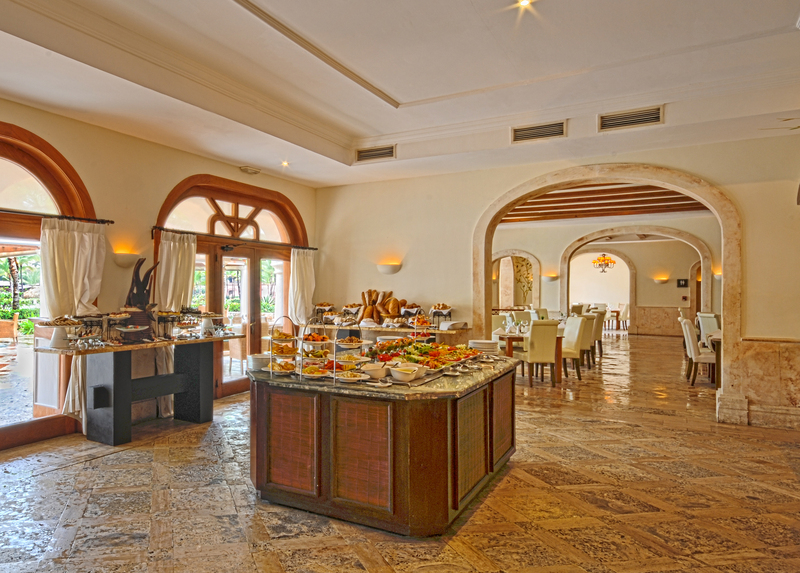 Gather here in the mornings and enjoy action stations offering a fabulous breakfast. 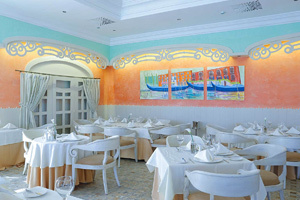 The restaurant also serves international cuisine with a tropical twist for lunch. 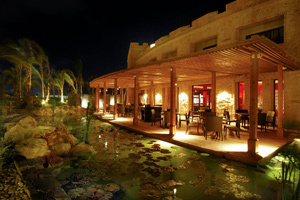 Surrounded by a beautiful moat, this Pan-Asian fusion restaurant also includes a Teppanyaki table with your own private chef. 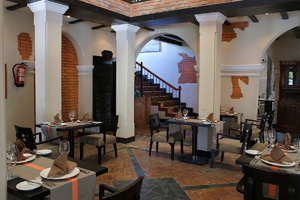 Designed as a traditional Argentinean Grill, replete with a cast iron and brick oven that uses wood and charcoal, this restaurant delivers only the finest cuts of meat. 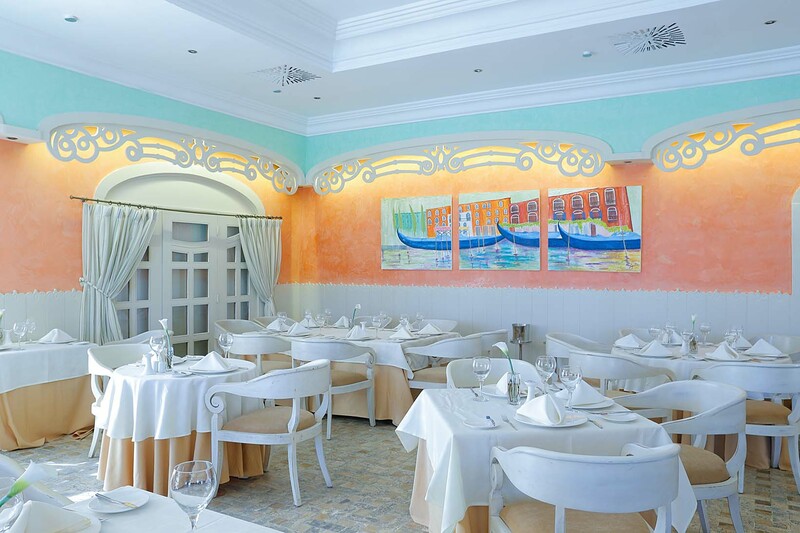 From pasta to Panna Cotta, Capriccio delivers a delicious menu of specialty items and classics. A swim-up pool bar serving local and international beers and cocktails. 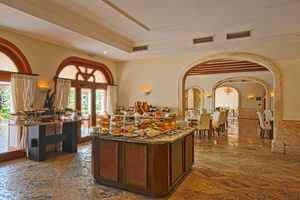 An oceanfront lounge bar serving local and international beers and cocktails. 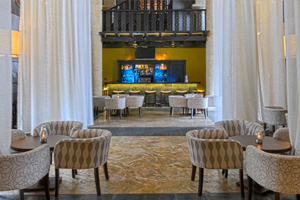 located in the castle section, this is a great spot for a pre- or post-dinner drink.